OEM tire with almost 70k. No issues whatsoever. Tire failed when temperature chanced from hot to cold or summer to winter. Side walls exposed tire wires when temperature changed. Buyers Beware! Happens only at 8-10,000 miles. It is the BEST tire that has been manufactured so far. I highly recommend it. When we purchased these tires, we immediately noticed a huge difference in the way our Jeep handled and drove. 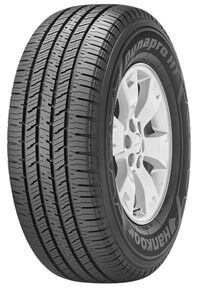 I highly recommend the tire brand. P.S. The only reason for a "3 star" rating on Snow Traction is that we purchased them in May and there is no snow at this time of year in the Midwest.